In a crushing blow to whatever coolness Star Wars had in the ‘70s and to whatever “ownership” nerds claimed to have over the series with their X-Wing bedsheets and collections of mint-condition Boba Fett toys, the AARP has announced that Star Wars is actually for old people. 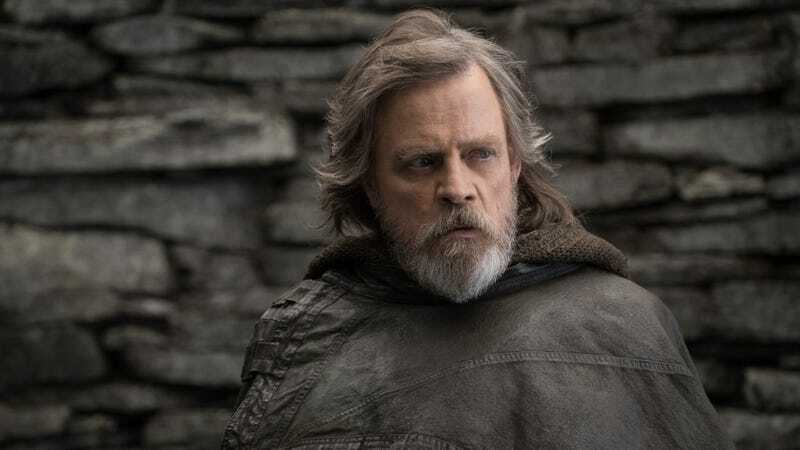 We’re not sure what specifically caused this, but the fact that both The Force Awakens and The Last Jedi prominently featured some older actors in main, heroic roles probably had something to do with it. Either way, the AARP has nominated Star Wars: The Last Jedi for Best Picture in AARP The Magazine’s annual Movies For Grownups Awards—an event that absolutely has to be more entertaining than it sounds. This comes from the Associated Press, which says the other nominees for Best Picture are Get Out, Lady Bird, The Shape Of Water, and Three Billboards Outside Ebbing, Missouri. All of those are now also exclusively to be enjoyed by old people, so hopefully any young people out there weren’t too busy with their fidget spinners and crushing student loan debt to see these films. Meanwhile, in the AARP’s Best Actress category, the nominees are Meryl Streep, Annette Bening, Judi Dench, Salma Hayek, and Frances McDormand, with its Best Actor nominees including Denzel Washington, Steve Carell, Daniel Day-Lewis, Tom Hanks, and—for obvious reasons—Gary Oldman. The Movies For Grownups Awards will be held on February 5, and it will air as part of PBS’ Great Performances on February 23.